detailed vacation quote sent to you via email. 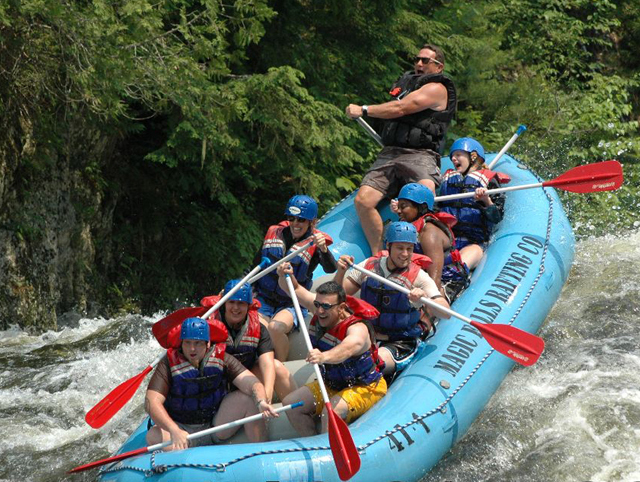 Be sure to put a fun Maine rafting trip on your "Must-Do" list! Rafting the whitewater of Maine's Kennebec River and Dead River is an outdoor adventure you must experience at least once in a lifetime and a great way to bond with family and friends. Magic Falls offers Group discounts for Corporate Groups, Church Groups, Boy And Girl Scouts, Youth Groups, Family or Friends. Before you plan your own trip, take a look at just some of the fun you can have rafting the river. We try our hardest to offer the highest quality river experience at the lowest possible prices available. Contact Magic Falls Maine Whitewater Rafting Company to plan your outdoor adventure on the Kennebec River or Dead River and spend your vacation whitewater rafting in Maine! Complete our on-line Maine white water rafting trip planning form to receive a detailed price quote via email or book your Kennebec or Dead River trip on-line. Call us at 1-800-207-7238. Heading to other US and Global locations for rafting? Check out www.outdoortrips.info. "Our guide was very knowledgeable, rafting Kennebec was a blast. Magic Falls runs a great operation, equipment was more decent than other companies we’ve tried in the past and our experience was very memorable." "We had the best time rafting the Kennebec with Magic Falls. We took my father and 3 teenagers for a wild ride. The experience of the our guide Joe and Chris on the other raft made for a much more exciting ride than a previous trip we took with another rrafting company. True professionals, safe and highly skilled." "We had a blast! Our guide kept us safe and happy! We were able to get in and ride the rapids a couple times. We had cool challenges and it was very exciting! Afterwards we returned to base camp for lunch, the steak was very tender and blueberry crumb cake was delicious. We would do this trip over and over again!" "Thank you all so much for taking care of us again this year. Zero complaints yet again and everyone had a wonderful time, including the new people. You all are the best and hope you have a strong closing to the season. Any published flows are approximate and forecasts are estimates only. Actual flows will vary and can change quickly at any time. Always be alert and wear an approved flotation device. Never go in or near the water until you know and accept the risks you are assuming by being in this area. 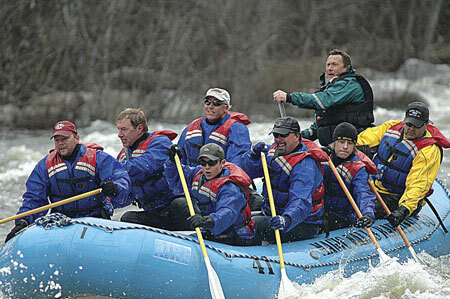 The Dead is the longest, continuous stretch of Class III-V whitewater in the East. Always use caution when recreating on or near dammed waters as water levels could change without notice.